Becoming a corporate sponsor of The Wetlands Institute provides you the unique opportunity to connect with the community, reinforce your reputation as a good corporate citizen, build brand awareness and show your company’s support of the important work The Wetlands Institute is doing for our community and the environment. Corporations have a long tradition of investing in their local communities and in projects and programs that further their missions and values. 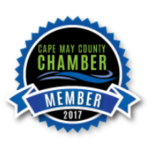 We recognize that companies seek multi-faceted partnerships that benefit the community, provide networking opportunities for corporate team members and help market your products or services to audiences in distinct ways. Strategic philanthropy is at the heart of The Wetland Institute’s corporate partner program. We work closely with our sponsors to build partnerships that provide valuable benefits to the environment, education and conservation, while simultaneously increasing your company’s visibility with key constituents. We can also help meet corporate sustainability goals through employee volunteer opportunities. 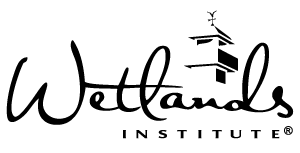 The Wetlands Institute offers sponsorship and partnership opportunities for corporations that can be at the institutional level or special events focused. Each sponsorship package includes a range of benefits for our corporate partner that ranges from access to unique experiences, to logo and name placement at the Institute or in Institute promotional materials, website, and social media placements. Some programs provide volunteer experiences for corporate member teams if you are interested in those benefits. Logo or Listing on website: Last year, our website received more than 176,000 visits! There are a number of different sponsorship opportunities and benefits available for your company. Our special events are included in some Institutional sponsor packages and a selection of different special events packages can be customized to meet your interests. Please let us know your interests. Contact us to discuss partnership options.